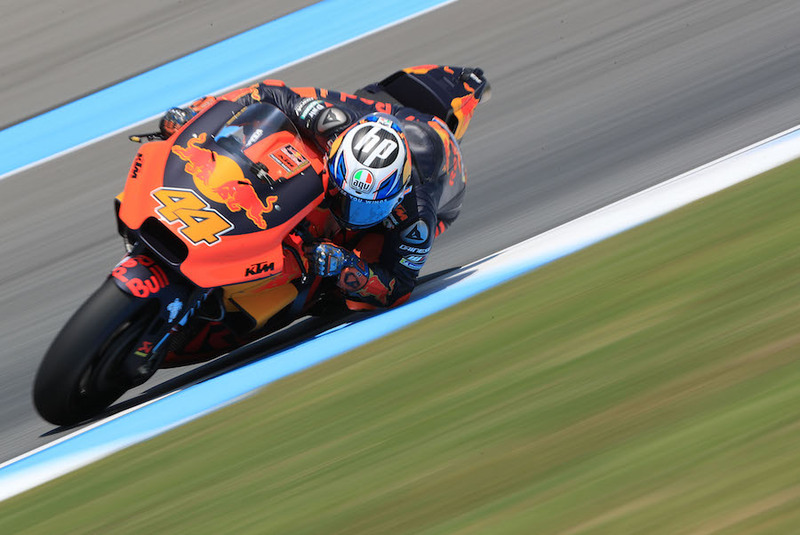 Pol Espargaro was back in the saddle in Thailand, less than two weeks after breaking his collarbone in free practice at Aragon. This was a repeat of the injury sustained on race morning in Brno, where he decided upon natural healing for the fracture, largely because he was already suffering major complications from a painful spinal injury. This time, he elected to have the fracture plated and pinned, and he hoped to be strong enough to complete the Thai GP weekend. His return was particularly welcomed by his Red Bull KTM team, currently testing solutions for next year’s bike. 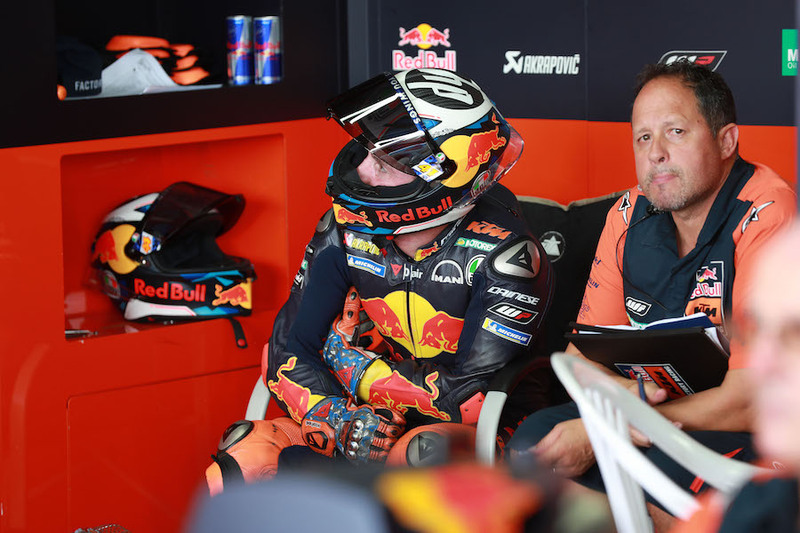 Current team-mate Bradley Smith will by then be working for Aprilia as a test rider; while new factory KTM teamster Johann Zarco will not be able to try the bike until tests after the year-ending Valencia GP.